فیلمین سناریو یازاری, کومدین, یازیچی, فیلم یاپیمجی‌سی, دوبلور و اوْیونچو. بن استاین (اینگیلیسجه: Ben Stein) آمریکالی فیلمین سناریو یازاری, کومدین, یازیچی, فیلم یاپیمجی‌سی, دوبلور و اوْیونچو. آمریکادا دۆنیایا گؤز آچیب. اؤز تحصیلینی کولمبیا بیلیم‌یوردودا بیتیرمیش. 1970–گۆنوموز ایللر آراسیندا سینما ساحه‌سینده چالیشیب. 1991 MacGyver هن یوخ Major Snead Episode: "Honest Abe"
1993 Melrose Place هن یوخ Loan Officer Episode: "My New Partner"
1993 Full House هن یوخ Elliott Warner Episode: "Another Opening, Another No Show"
1993 Animaniacs هن یوخ Francis "Pip" Pumphandle (voice) Episode: "Chairman of the Bored/Planets Song/Astro-Buttons"
1994 Love & War هن یوخ Dr. Baxter Episode: "Are the Stars Out Tonight?" 1995 Tales from the Crypt هن یوخ Andrews Episode: "Doctor of Horror"
1995 Lois & Clark: The New Adventures of Superman هن یوخ Pro Lawyer Episode: "Whine, Whine, Whine"
1995 Married... with Children هن یوخ Thomas Episode: "Requiem for a Dead Briard"
1995 Freakazoid! هن یوخ H.A. Futterman (voice) Episode: "Relax-O-Vision/Fatman and Boy Blubber/Limbo Lock-Up/Terror Palace"
1995 The Marshal هن یوخ Ben Episode: "Time Off for Clever Behavior"
1996 The Spooktacular New Adventures of Casper هن یوخ Mr. Happ (voice) Episode: "Paranormal Press/Another Spooky and Poil Moment/Deadstock"
1997 Seinfeld هن یوخ Shellbach Episode: "The Comeback"
1997 Murphy Brown هن یوخ Williams Episode: "How to Marry a Billionaire"
1997 101 Dalmatians: The Series هن یوخ Waiter (voice) Episode: "Two Faces of Anita"
1997 Total Security هن یوخ Sam Hinkle Episode: "Citizen Canine"
1997 Rugrats هن یوخ Bingo Caller (voice) Episode: "Grandpa's Bad Bug/Lady Luck"
1998 Muppets Tonight هن یوخ The Sad And Lonely Man That Science Has Left Dr. Honeydew Episode: "Andie MacDowell"
1998 The Secret Files of the Spy Dogs هن یوخ Ernst Stavro Blowfish Episode: "I.H.R.F./Oatz"
1998 Pinky and the Brain هن یوخ Francis "Pip" Pumphandle Episode: "Star Warners"
1998 The Hughleys هن یوخ Dr. Mopp Episode: "I'm Shrinnnking"
1999 Pinky, Elmyra & the Brain هن یوخ Rockin' Johnny Hot Episode: "At the Hop!" 1999 Shasta McNasty هن یوخ Himself Episode: "Adult Education"
2000 The Man Show هن یوخ Juggy University Professor Episode: "X-Ray Specs"
2001 The Drew Carey Show هن یوخ Heavenly Guide Episode: "Drew's in a Coma"
2001 Lloyd in Space هن یوخ Ranger Wormy Episode: "Caution: Wormhole!" 2002 The Adventures of Jimmy Neutron: Boy Genius هن یوخ Giggles the Clown (voice) Episode: "Hall Monster/Hypno Birthday to You"
2002 Do Over هن یوخ Teacher Episode: "Joel Larsen's Day Off"
↑ "How 'The Last Sharknado' Wrapped Up Insane SyFy Franchise: Tara Reid Rides Dinosaurs and 57 More Crazy Moments". toofab (in English). Retrieved 2018-09-07. 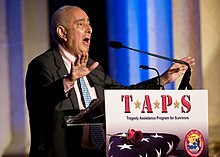 اینگیلیسجه ویکی‌پدیاسی‌نین ایشلدنلری طرفیندن یارانمیش«Ben Stein»، مقاله‌سیندن گؤتورولوبدور. ( ۲۲ ژانویه ۲۰۱۸ تاریخینده یوْخلانیلیبدیر). قارداش پروژه‌لرده بن استاین گؤره داها آرتیق بیلگی‌لر تاپابیلرسینیز.